Designed to fit most standard plastic cups and glasses, each beach ball cover has its own color palette. Make outdoor parties a day at the beach with these colorful drink markers. 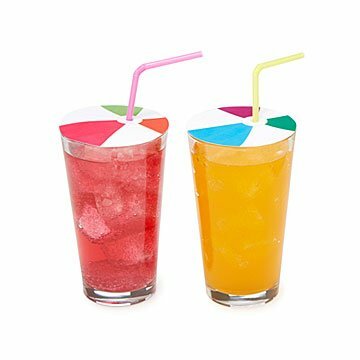 Designed to fit most standard plastic cups and glasses, each beach ball cover has its own color palette, so guests will avoid mix-ups and worry about more important things: like one scoop or two? Click here for your free download of the Printable Beach Ball Drink Markers.